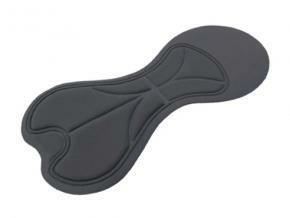 * Multi layer molded pad that is engineered specifically for Children. * Protects from chafe and cushions the saddle area of a bicycle rider. * Machine Wash and Dry Children's Pro bike Shorts - This short is Kid tested and guaranteed to please. Eliminates chafing, moves with the cycling movement. The pad is soft polyester fleece. Fabric is Nylon Lycra. Machine wash and dry. Black only. Chamois Pad is 4-5 mm thick with a 40 kg. thick density. The Polygiene brand antibacterial finish on the surface of the pad protects against bacterial formation. Children's Pro bike Shorts - This short is Kid tested and guaranteed to please. Eliminates chafing, moves with the cycling movement. The pad is soft polyester fleece. Fabric is Nylon Lycra. Machine wash and dry. Black only. We bought these for,our grandson for his birthday. He loves to ride his bike with his dad and wants to dress like him when they go out. These are just like adult shorts, pad and all. The sizing is perfect, we'll constructed and very nice material. I'm sure he will get great wear out of them. I would recommend this product, thank you. These are the only shorts that we're comfortable and worked. Wear 3xs a weak for mountain biking. We had a hard time finding shorts that our daughter wouldn't complain about. These shorts saved our sanity! She's never griped about them. She rides both road and mountain bikes and loves them. They look great and have held up very well. We are so pleased with these children's padded pro bike shorts! After researching youth cycling shorts, we found that these were the best value with great reviews, so we purchased them for our 9 year old. They arrived quickly, 3 days after ordering! But most importantly, our little cyclist loves them. They are comfortable --even the padding, and the fit is just right around the waist and legs. My favorite detail about these shorts is that they are MADE IN AMERICA-- Pittsburgh, PA to be precise! Well done Aero Tech Designs! Keep up the great work, and we'll be back the next time we need cycling apparel! 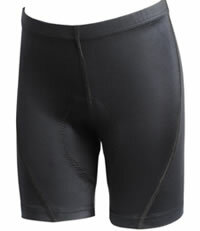 I bought a pair of these shorts for my 7 year old since he is getting introduced to bike racing at our local velodrome. The shorts are very well made and are a great value for young riders. The pad is impressive for a kids short. It fits well and does not create a "wedgie" feeling like other kids cycling shorts. Nice, thick, contoured padding. Good quality shorts for my 12 year old son who is starting to mountain bike and plans to try out a few races in the spring. He's very slim and based on the sizing chart we got him an XL which fits well. My kids have used these shorts on several week long tours while riding on the back of the tandem. Purchased the shorts for my 6 year old grandson. Was concerned about sizing but they are right on with the size. Fits him like a glove and he loves the padding (chamois). Would highly recommend for a young rider. Could not find anything comparable anywhere. My daughter has been riding her bike often and wanted padded bike shorts like mine for her 10th birthday. I was looking for good quality kid sized bike shorts that would be at least close to comparable to adult bike shorts. These shorts fit well, have a decent thickness psd and seem to be good quality. My daughter loves them. We purchased this item for our 8 year old for use on a long road trip . He needed a second pair of riding shorts this year. He used his first pair last year for riding Biking Across Kansas. He had a couple 50 mile days. They fit better and had better padding than other riding shorts for children. These children's bike shorts have the better padding for the longer rides. The padding is contoured and made from better material than the basic foam padded cheaper shorts. These are for my 7-year old. I originally got two sizes too small. Sent them back and got a quick turnaround on the correct size. The wife says it was my fault on sizing. Bought these for my 8 year old son. He loves them! Well padded and comfy. He has taken several 20 mile rides with me in these shorts and has never complained about there performance.